With a price tag exceeding $1000, The Super Angel All Stainless Steel Twin Gear Juicer- 5500 should be able to make the juice by itself before you wake up in the morning and clean up afterwards. 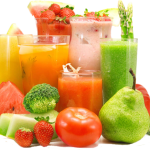 While it unfortunately does neither of these things, those who have been juicing for years will still be pleasantly surprised with the results. For those of us who juice, chances are we started juicing in order to consume the most amount of nutrients in the smallest glass of juice. Right? Juicing is a way to pack in tons of essential vitamins and minerals without having to stuff ourselves with, say, 20 carrots or 3 entire beets. 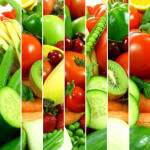 By removing the fiber, our stomachs are able to consume a lot more fruits and vegetables. Whether you want to pack in the nutrients for yourself or you’re trying to convince your children to eat their veggies, it’s important to choose a juicer that retains the highest amount of nutrients. This is where the Super Angel juicer comes in. The pulp that comes out of this appliance is as dry as it can possibly be, which means that you are surely getting every last drop of liquid out of your ingredients. Seriously, the pulp that comes out of this machine is significantly dryer than any other juicer I have used in the past. 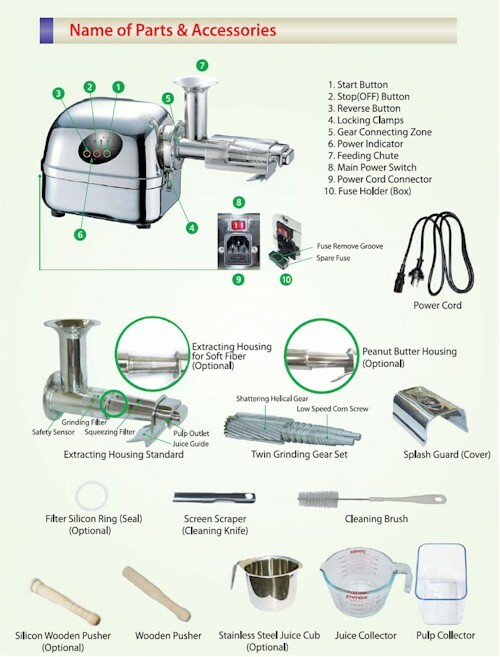 The Super Angel All Stainless Steel Twin Gear Juicer – 5500 is a triturating juicer. What does this mean? It’s not a centrifugal juicer, it’s not a masticating juicer, it’s something completely different. While the speed of this machine is nothing to boast over, it creates virtually no heat or friction, ensuring that all of the nutrients and enzymes from your fruits and vegetables are completely intact when they enter your glass. Because the process is so slow, no foam is created during the process – leaving you with a beautiful, perfectly nutritious glass of fresh juice. 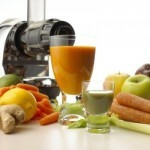 The secret is in the surgical grade stainless steel “pressure screws” within the juicing machine. They apply pressure to your ingredients, and then slowly grind down the pulp, releasing every last bit of liquid. And, there is no plastic in sight here to wear down over time. The precision engineering of these gears gives the ultimate user experience in breaking down the fruit and vegetable fibers, delivering the most efficient possible nutrient extraction. These gears rotate at a lower speed(86 rpm) than most other models thus preserving wholesome organic nutrients with longer shelf life. Alright, so this juicer is quite pricey, but you get what you pay for! There aren’t a ton of complicated parts, so even the most novice juicer can figure it out. There are only three parts that you need to clean on the entire juicer: the screen and two augers. Since this appliance is made out of stainless steel, it won’t stain over time. It’s also considerably more hygienic, so you don’t need to worry anything contaminating your juices over time. Is the Super Angel 5500 worth the price? This is completely up to you. While the appliance is quite beautiful to look at, it doesn’t offer a handle for easy movement. And, as with many other juicers, you still need to chop up your fruits and vegetables to fit them in the chute. If you’re looking to create nutrient rich juices with a dry pulp you can use in burgers, muffins and soups, you’ll really like this machine and if you’ve been juicing for years and you’re ready to move up in the world (as well as retain every nutrient from your ingredients! 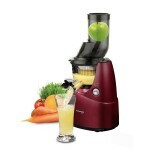 ), then The Super Angel All Stainless Steel Twin Gear Juicer- 5500 may be worth the large price tag. 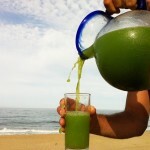 For those of you who have been juicing for a significant amount of time, you’ll definitely notice the difference. The crisp, fresh taste of the juice lasts for days, and you’ll truly feel like you’re biting right into whatever apple or pear or stalk of kale you put through the machine. Fully warrantied through the manufacturer with a 10 year manufacturer’s warranty (wear and tear excluded). Unique design with remarkable extraction power makes more easier and simple to use and clean. Newly designed parts make easier for clean-up, assembly and disassembly. High quality, strength solid stainless steel, SUS-304. Other twin gears are made of plastics & stainless steel, breakable. State-of-the-art design and it always keeps clean. Very Hygienic! Produce very little oxidation, the highest nutrient juice and keep more enzymes intact because of almost no heat and friction by low turning speed. The lowest rpm twin gear juicer in the market. The solid, high quality food grade stainless steel twin gears running at 3 HP grinding force and it allows you to juice strong fibrous, stringy produce quicker and smooth. For efficient juice extraction, stage one applies concentrated pressure to the fruit or vegetable. Stage two grinds and continuously masticates the fruit or vegetable creating very dry pulp and as a result – more juice. 3-stage screen filters and maximizes pure juice yield resulting in 20% to 30% more juice extracted compared to other juicers. A single three-stage screen handles fruits and vegetables. No need for other screens. Darker, richer color of the juice and a sweeter, richer more full-bodied flavor by precision engineered gears, motor and screen. Powerful heavy duty motor always bring maximum squeezing and produce maximum juice quantity. Impeller press system of twin gears enables continuous juicing. Removes over 90 % of agricultural chemicals and toxic substances from the surface of fruits and vegetables. The higher wattage motor with unique cooling system results in less strain on motor, and less heating of the motor, as well as increased durability. 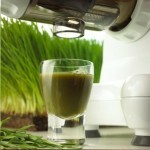 Juicing almost anything from carrots and apples to wheat grass and pine needles. Soy Bean Juicing (Soymilk) & Making Tofu, Nut Butters, Frozen Fruit Sorbet. A thermal protection device and anti-jam reverse action offer safe use and peace of mind. The automatic motor thermostat prevents the motor from overheating. Automatic Heat Sensor, Extra Rocker Switch, Internal Gear Protection, Reinforcement of Switch Panel, Double Protection of motor and Main Housing Unit, the Screen Housing. Blockages from overload or jamming can easily be cleared with the reverse action switch. It prevents motor overheated. Super quiet! Ultra-precision 3-stage twin gear system with powerful heavy duty motor bring the maximum extraction of juice, which creates very dry pulp and as a result – more juice. Please compare to other juicers. Hand-built, precision engineered using the highest quality grade stainless steel.